Canadian born, Michelle displayed a love of the stage and performance at the age of six. She was one of the first Canadians to compete, and win, in beauty pageants in the United States, gaining such titles as ‘Little Miss New York Model’ and ‘Little Miss North American Model.’ She paved the way for Canadians in the American market of children’s pageantry. As an actress, model and dancer she appeared in countless magazines, over 40 commercials, 4 of which were aired nationally, numerous TV Series and has performed at several charitable events. Now in her 30s, Michelle has taken her passion for film/television/fashion and pageantry to another level. She has worked as a Talent Agent for a principal film/modeling agency, a Pageant coach and is now the Executive Director for the Miss Teen Canada – World Pageant and recently added “Full time Mom” to her list of career paths. 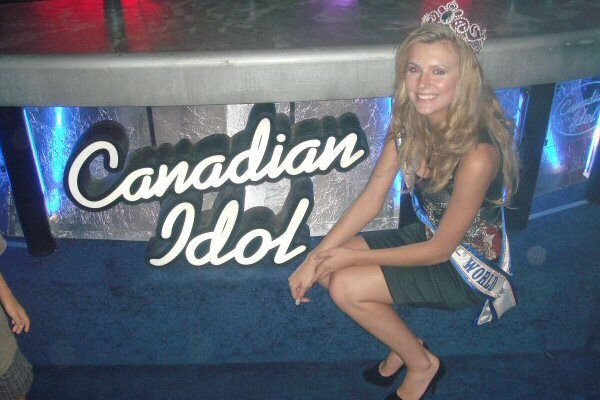 Notable title wins include: ‘Miss World Canada 1996′, ‘Miss Intercontinental Canada 2000′, ‘Miss Earth Canada 2001′. Shawn Cuffie has been active in the Entertainment industry from the age of 16. Since then he has appeared in Commercials, Movies, Videos, TV Shows, Live Shows and has toured many cities in Canada and the United States with professional recording artists. By 18, Shawn skills had developed in training models & talent through dedication in attending many conventions, workshops and seminars in L.A and New York. Since then, he has perfected his trade – justifiably one of the most sought after professionals – called to work with hundreds of talent throughout Canada and the U.S.A. There is a number of talent after having worked with Shawn, had been placed with large international agencies. Among these selected, the work spectrum includes appearances in spectacular commercials and the gracing runways of the world – including work on Cover Girl Campaigns, Nike Advertisements, L’Oreal Commercials, prominent magazine covers, fashion channels around the world, not to mention designer campaigns and recording contracts. Some of Shawn’s direct efforts include large scale Model/ Talent Competitions in the U.S.A (IMTA) having won 20+ awards over a decade, Corporate Shows for Pepsi, TD Bank, Price Waterhouse Coopers, The Toronto Raptors, Concerts for Kiss 92.5, and hundreds of Fashion Shows. Because of his keen business sense, will and drive to succeed, by 21 Shawn decided that he was ready for the professional side of the industry. Having started with his first dance rehearsals in his sisters’ basement over 10 years ago – he struggled. With the help of friends and family, he was offered rehearsal spaces in church basements, shared lofts, then finally community centers. Currently Shawn operates his entertainment enterprises in his High Park area studio and offices. With 10 years of passion and dedication, he shines in the Toronto and International Entertainment Industry. Mr. Cuffie has also aligned himself with great friends in the industry such as record companies, international management companies, international models and the list goes on. These are the movers and shakers who manage large international recording artists and models and acts around the world. ‘As a young entertainer and entrepreneur, it is my dream and priority to help put Toronto on the map on an international level with regards to our Entertainment Industry.’ Says Shawn. Shawn’s ultimate goal is to create a legitimate avenue to guide talent through their struggle in the industry with the help of the decision makers themselves. Jennifer Turner is the owner and lead artist at Modern Makeup. She has been the director of the makeup department for Miss Teenage Canada and Top Model Search Canada since 2016 and for Miss World Canada since 2017. Modern Makeup is a team of talented professional makeup artists and hair stylists who are available all across Southern Ontario for professional mobile hair and makeup services. Jennifer’s work has been seen on television, film sets, TIFF Fashion Shows (Toronto International Film Festival), music videos, African Fashion Week Toronto and so much more. She specializes in beauty makeup, makeup for photography/commercial and makeup for stage/film/television but also loves to do creative makeup art. Please contact Jennifer at jen@modernmakeup.ca for all makeup artist related enquires and for makeup related sponsorship requests. Rob Campbell, CEO of Lenzr.com, is one of Toronto’s leading freelance web marketers. He brings over three years’ experience building social marketing buzz for Canadian companies and Canadian film and TV properties. Campbell also holds workshops for companies to educate and train them on the ins and outs of Social Marketing.